Ivan Rivera’s decision to combine Seaside Heights’ liquid pleasures — booze and the ocean — got ugly on Saturday evening, when a rip current pulled him out to sea. NBC New York reports that the two lifeguards who came to the rescue were somehow “put in jeopardy by Rivera’s actions” and, once ashore, he also attacked two other lifeguards, striking one of them in the jaw. 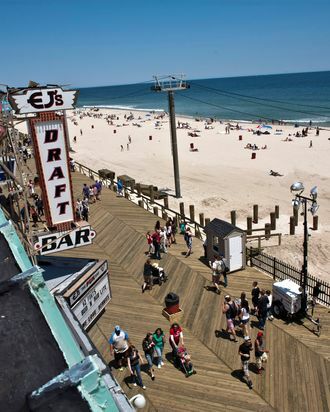 “He was clearly under the influence,” said the Seaside Heights police chief. Rivera is being charged with simple assault, disorderly conduct, underage drinking, and living the Jersey shore dream.